I've been feeling anxious lately, which I'm attributing to the change in seasons combined with an overabundance of caffeine (thank you Dunkin Donuts Pumpkin Spice for making my heart race!). I feel like there are only a handful of weekends left that I'll be able to go surfing without turning into a popsicle. How did we get to the end of September already? So Monday morning rolled around, I came into work bleary-eyed and wondering where the weekend disappeared to, and I immediately started to fidget. I. Needed. To. Get. Out. So I emailed my dad. Me: I need to get out of the city. Can we go hiking? 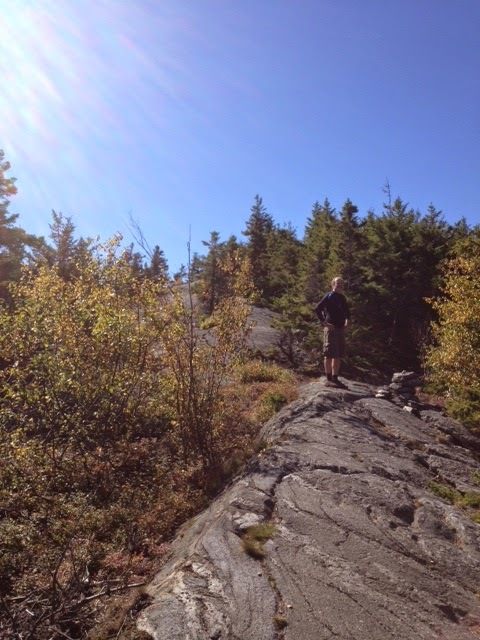 So Friday I headed north with my father to Mount Monadnock. 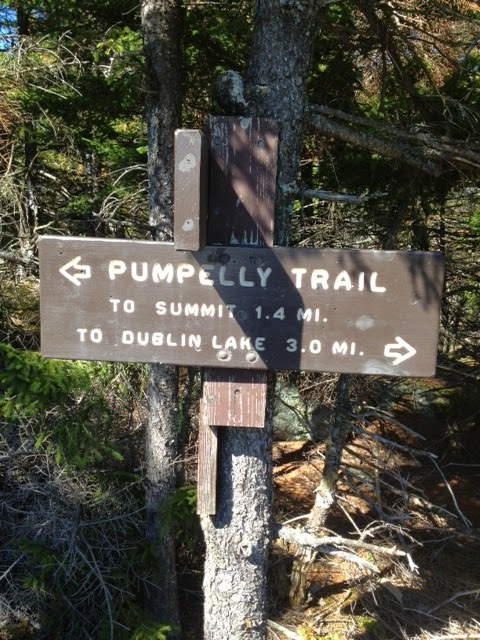 I have done the White Dot and White Cross trails many times (about 4-5 miles round trip) but I'd never done the Pumpelly trail which covers the north face of the mountain and is nine miles round trip. To say I am out of shape is a horrible understatement. But I'm usually down to try anything (also, my father never disclosed the distance until we were nearly halfway up the mountain, at which point I kept asking, "Are we there yet?"). Regardless of length, I would absolutely recommend hikers take this trail, Though it is a challenge, it has by far the more stunning views. The route takes you up one mountain and then over a series of ridges to the summit. Also of note, my father hiked with two broken ribs. I can't decide if he's a champ or looney. 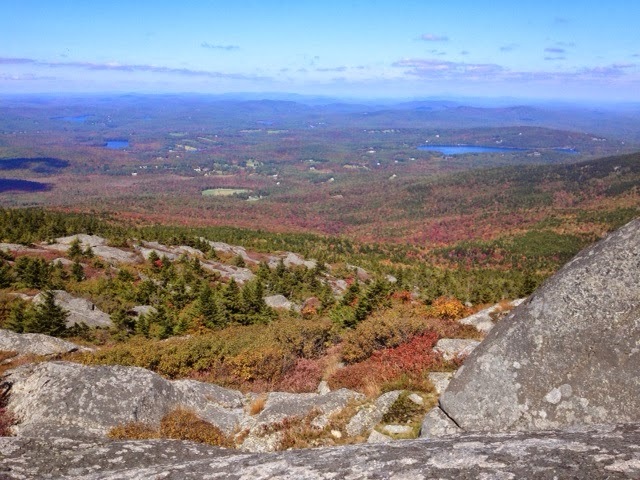 If you'd like to hike Monadnock there's some trail info here. How stunning are these views? 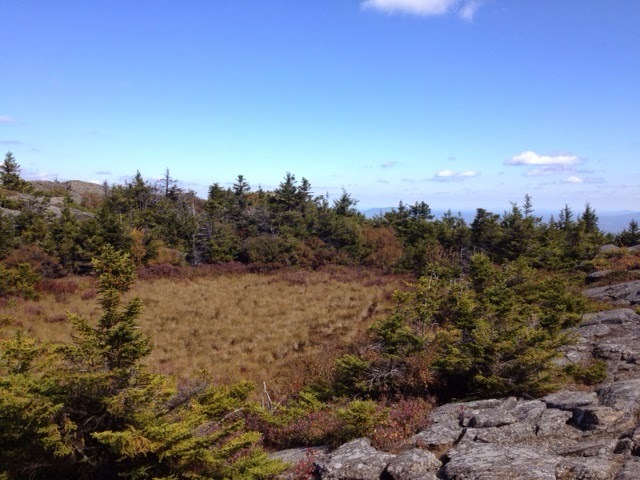 The two pictures above were taken about halfway up the mountain as we went from ridge to ridge. 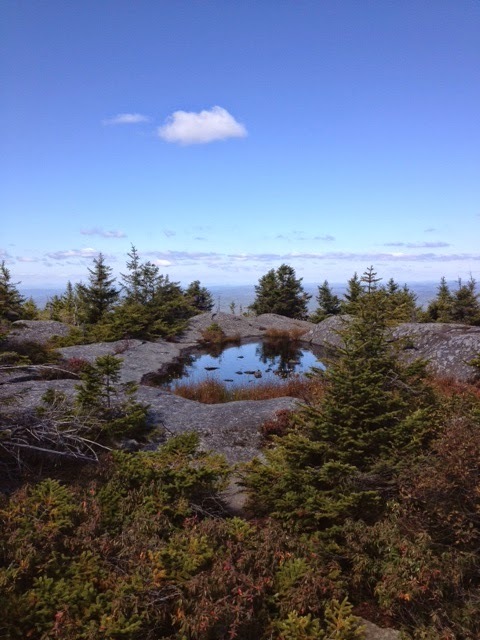 It was so weird to see swampy bogs atop a mountain. 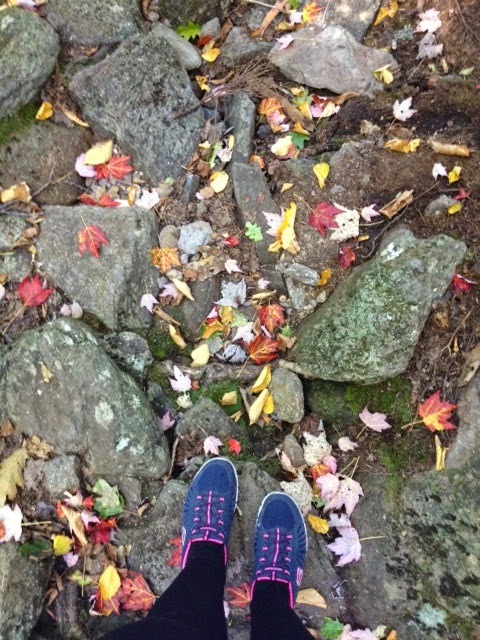 And the leaves are starting to change colours... it was exactly what I needed - fresh air and a lot of exertion. I was so incredibly sore for the next twelve hours until I did some major stretching but it was the good kind of sore, where you've pushed your body further than you thought it could go. And then I went surfing Sunday. So get outdoors while we have this gorgeous fall weather! Get some fresh air, move your legs, take in a beautiful vista.